This Valentine’s Day, give a gift that will last. 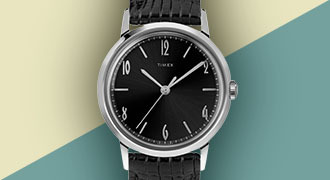 The Timex Collection is full of excellent watch gifting ideas for him and her. A watch is the type of gift the recipient will wear often and provide a constant reminder of how special you are. 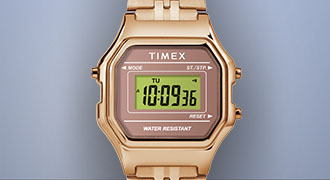 Timex offers men’s and women’s watches in a variety of styles that make for great Valentine’s gifts. From chronographs to crystals, we have the right watch to tell someone how much you care. Valentine’s Day is an important holiday and you certainly don’t want to miss the chance to impress the woman you care about. Mom’s, wives and girlfriends deserve a gift that is thoughtful and can be worn year-round. 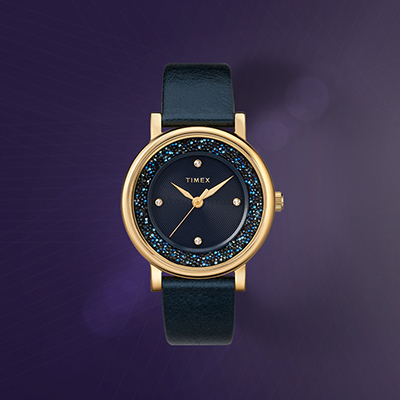 A timepiece with a bold outlook on life, the Crystal Opulence watch features a gold-tone case and a blue dial with innovative crystal fabric made of tiny cut premium Swarovski® crystals that complement the blue leather strap for a unique look that is elegantly beautiful. 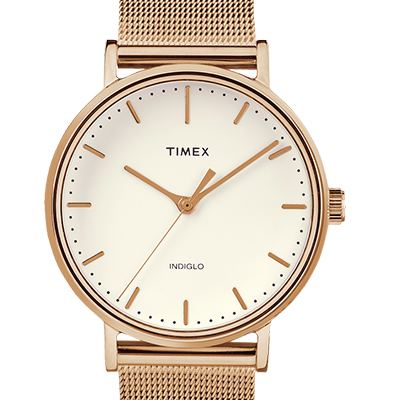 Pairing our minimalist design with a rich gold-tone case and fluid stainless steel mesh band creates a watch that is tastefully free of complications. Water-resistant to 30 meters with INDIGLO® night-light, the Fairfield Mesh Band is a stunningly simply watch that is perfect for both formal and casual occasions. 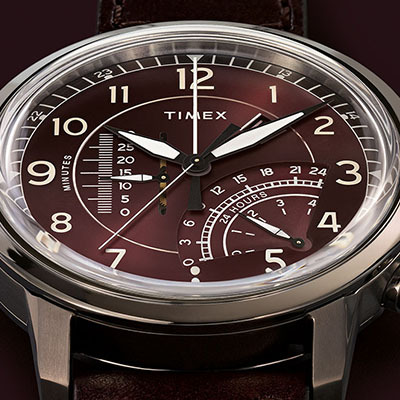 This Valentine’s Day we’ve selected two of our favorite chronograph watches that make terrific gifts. 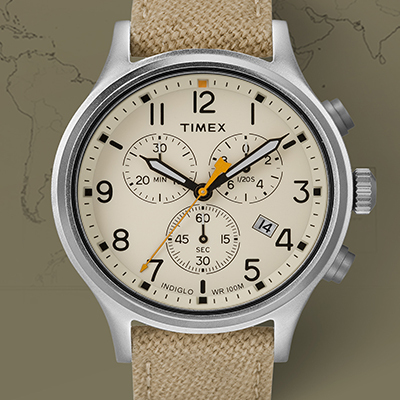 A classic field chronograph rugged enough for the field but also ideal for casual wear, this timepiece will be a welcome addition to any man’s watch collection. Featuring a fabric strap, date window and water-resistant to 100 meters, the Allied Chronograph is capable of handling whatever life throws its way. We’ve given a not-so-traditional twist to our traditional Waterbury case. Our proprietary Intelligent Quartz linear chronograph movement adds a compelling complication to the burgundy stainless steel case and dial. 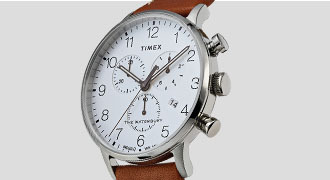 This stylish Waterbury Linear chronograph watch features a date window, leather strap and is water-resistant to 50 meters. 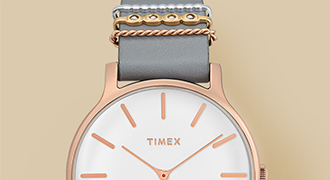 Shop the Timex collection to find the perfect Valentine’s Day gift.